Turner began his career as an account executive with Turner Advertising Company and entered the television business in 1970 when he acquired Atlanta independent UHF station channel 17. In 1976, Turner purchased Major League Baseball’s Atlanta Braves and launched TBS Superstation, originating the “Superstation” concept. The following year, Turner Broadcasting System, Inc. acquired the National Basketball Association’s Atlanta Hawks, and in 1980 Turner launched CNN, the world’s first live, 24-hour global news network. Over the next two decades, the company built a portfolio of unrivaled cable television news and entertainment brands and businesses, including CNN Headline News, CNN International, TNT, Cartoon Network and Turner Classic Movies. In the mid-’90s, Castle Rock Entertainment and New Line Cinema became Turner Broadcasting properties. In October 1996, the company merged with Time Warner Inc., and in 2001, Time Warner merged with AOL to create AOL Time Warner. The company later changed its name back to Time Warner Inc. He is the chairman of the Turner Foundation, founded in 1990, which supports efforts for improving air and water quality, developing a sustainable energy future to protect our climate, safeguarding environmental health, maintaining wildlife habitat protection, and developing practices and policies to curb population growth rates. Since its inception, the Turner Foundation has given more than $380 million to hundreds of organizations. Turner and executive producer Barbara Pyle launched the animated series Captain Planet and the Planeteers in 1990. One year later, Pyle created the Captain Planet Foundation to fund and support hands-on, environmental projects for children and youth. The foundation’s objective is to encourage innovative programs that empower children and youth around the world to work individually and collectively to solve environmental problems in their neighborhoods and communities. The Turner Endangered Species Fund, launched in June 1997, is a core grantee of the Turner Foundation, which works to conserve biodiversity by emphasizing restoration efforts of endangered or imperiled species on the Turner properties. In September 1997, Turner announced his historic pledge of up to $1 billion to the United Nations. The following year, Turner created the United Nations Foundation (UNF). The organization supports the goals and objectives of the United Nations to promote a more peaceful, prosperous and just world. UNF has identified four core priorities: women and population; children’s health; the environment; and peace and security. Turner later created two independent film production companies, Ted Turner Pictures and Ted Turner Documentaries, which produced the major motion picture Gods and Generals and the critically acclaimed PBS documentary Avoiding Armageddon, respectively. In January 2002, Turner opened the first Ted’s Montana Grill, in Columbus, Ohio, with his partner, George W. McKerrow Jr., founder of the Longhorn Steakhouse chain. Ted’s Montana Grill offers classic American comfort food, including bison or beef burgers, in an authentic Montana bar and grill atmosphere. To date, Ted’s Montana Grill operates 43 restaurants nationwide. In keeping with Turner’s commitment to eco-friendly practices, Ted’s Montana Grill utilizes innovative ways to reduce waste and energy consumption. Turner is also chairman of Turner Enterprises, Inc., a private company, which manages his business interests, land holdings and investments, including the oversight of two million acres in nine states and in Argentina. Through Turner Enterprises, Turner also manages the largest commercial bison herd (51,000) in North America on 16 ranches in Colorado, Kansas, Montana, Nebraska, New Mexico, and South Dakota. For many years, Turner has devoted his time and energy toward promoting the use of clean energy sources. Through his Turner Renewable Energy (TRE) company, Turner believes that investing in renewable energy is not only a prudent financial decision, but also a crucial step toward ensuring our planet’s future health. TRE has taken several significant steps in moving from fossil fuels to renewable energy sources, including investing in MERIT SI, LLC, a national sustainable infrastructure company with offices in Austin and Houston, Texas and New Jersey. MERIT SI develops and delivers innovative solar and energy storage solutions to industrial operators of critical infrastructure across North America. In addition to its investment in MERIT SI, Turner Renewable Energy is responsible for the development of the 25-canopy Luckie Street Solar Project and the utilization of clean energy sources whenever possible at Ted’s Montana Grill restaurants and on Turner Ranches, which utilize some form of solar power on the majority of its properties. 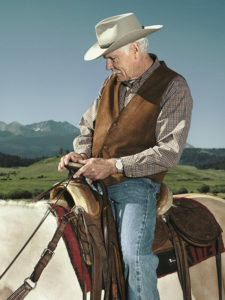 In June 2015, Turner launched his latest hospitality venture, Ted Turner Reserves, a groundbreaking initiative inviting the public to visit and enjoy four unique, Turner-owned locales, totaling over one million acres of diverse, stunning landscapes. It is through these experiences led by Ted Turner Reserves that Turner hopes others will develop a keen appreciation for and understanding of nature, and in turn, consciously take steps, small or large, toward improving our environment. Turner is the recipient of numerous honorary degrees, industry awards and civic honors, including being named TIME Magazine’s 1991 Man of the Year, Broadcasting and Cable’s Man of the Century in 1999 and one of TIME 100 World’s Most Influential People in 2009. In recent years, he received the 2011 Palazzo Strozzi Foundation’s Renaissance Man of the Year award, the Overseas Press Club Lifetime Achievement Award in 2012 and was honored by the National Academy of Television Arts & Sciences with the Lifetime Achievement Award at the 35th Annual Sports Emmy® Awards in 2014. Turner also received the Forbes 400 Lifetime Achievement Award for Philanthropy in 2016 and in 2017, was honored with a Lifetime Achievement Award by the National Center for Civil and Human Rights, among many others.